KOON SENG COURT is located at 117 - 119B KOON SENG ROAD in district 15 (Katong, Siglap, Tanjong Rhu) of Singapore. KOON SENG COURT is a Condo development. 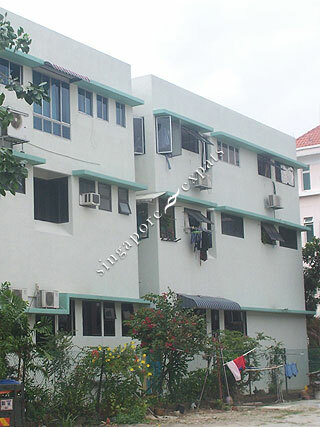 Educational institutions like CHATSWORTH INTERNATIONAL SCHOOL (EAST), CANADIAN INTERNATIONAL SCHOOL (TANJONG KATONG), GLOBAL INDIAN INTERNATIONAL SCHOOL (EAST COAST), HAIG GIRLS' SCHOOL, CHIJ (KATONG) PRIMARY and TANJONG KATONG PRIMARY SCHOOL are near to KOON SENG COURT. KOON SENG COURT is accessible via nearby EUNOS, KEMBANGAN and PAYA LEBAR MRT Stations. 5-7 minutes walking distance to the MRT (Eunos/Kembangan), mins away from Shops, Supermarket, Cafe's, etc. - 20 mns to the City - cycling/jogging distance to the beach.